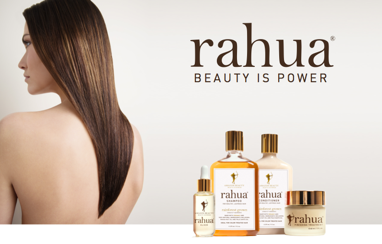 Celebrity hair care favourite, Rahua, enters the Middle Eastern market! With a cult following of A-list celebrities including Gwyneth Paltrow, Jennifer Lopez and Johnny Depp, it’s no wonder that there has been such hype and excitement over luxury hair care range, Rahua, which is made from 100% natural Amazonian ingredients, finally launching in the Middle Eastern market. Rahua, (pronounced Ra-wa), is certified organic and contains a conditioning nut oil which is found in the deepest, darkest parts of the Amazon rainforest. This Rahua nut oil repairs even the most damaged hair and has been used by the Amazonian tribal women for centuries. The key to Rahua’s outstanding performance is its molecular structure, which, unlike other botanical oils that simply coat the hair strand, the extraordinarily small Rahua oil molecule is able to deeply penetrate the hair’s cortex, bonding and repairing it while simultaneously smoothing the cuticle. Containing no silicone, sulphates or any other ‘nasties,’ the luxurious collection is also gluten free and certified organic. The collection is kind to your scalp, able to treat a variety of scalp conditions including dermatitis and eczema, and is focused on protecting the environment too! The luxurious Rahua collection features nine premium products including shampoos, conditioners, hair elixir, hair mask, voluminous spray, hair wax and finishing treatment. Rahua Shampoo: This 100% natural, organic and light lather shampoo (AED 210) creates and maintains healthy, bouncy and lustrous hair. Perfect for colour treated hair too, a natural cleanser derived from UNGURAHUA oil gently cleanses the hair without removing the colour pigment. Rahua molecules deeply penetrate the hair shaft, strengthening and fortifying weak, damaged strands while regenerating the scalp and hair follicles. 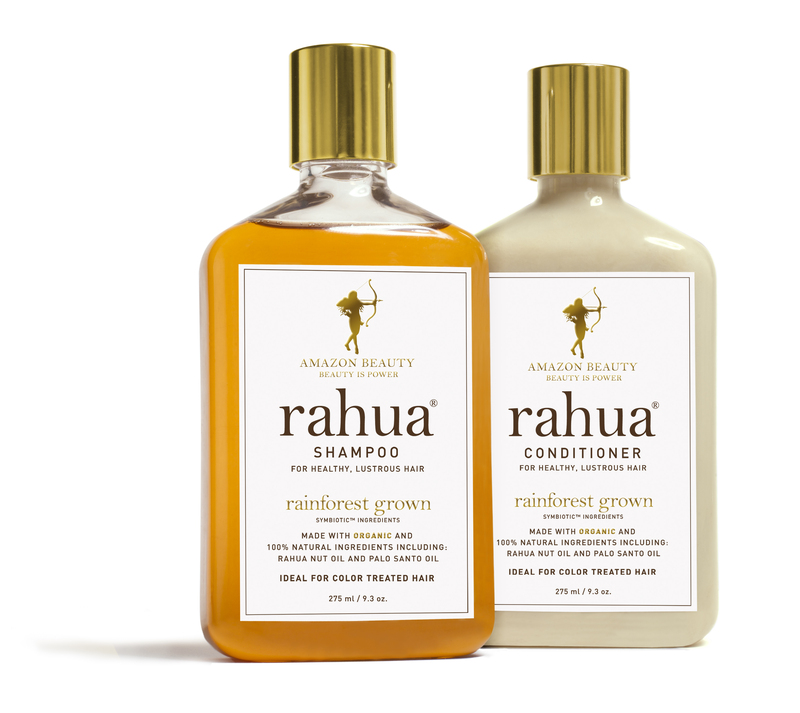 Gluten free super food Quinoa, and Rahua’s signature scent Palo Santo complete the shampoo’s powerful ingredient mix. Rahua Conditioner: The thick, super rich formula of this conditioner (AED 220), which doubles up as a medium hold styling cream, creates manageable, soft hair without the build up! Fortifying and nourishing weak, damaged hair, this conditioner nourishes the scalp and reinvigorates the hair follicles. Rahua Omega 9 Hair Mask: This luxurious hair mask (AED 395) offers powerful repair at home, rejuvenating dull, damaged hair and preserving colour vibrancy. It deeply penetrates the hair shaft helping it spring back to life while ensuring maximum shine and softness. Quinoa protein strengthens the hair shaft, while lavender and eucalyptus add a touch of aromatherapy to help inspire a relaxing, once–a-week, 15 minutes beauty ritual. This product, often referred to as ‘hair insurance,’ offers the benefit of a typically salon-only, intensive treatment in the comfort of your own home. Rahua Elixir: Offering a 100% natural solution to your toughest hair-care challenges, this exceptionally rich and pure formula (AED 1,075) delivers longer, stronger and healthier hair and scalp. Just one to three drops of this Amazon rainforest grown product will transform your hair from dull and lifeless to strong, healthy and lustrous. Creator of the Rahua Collection, renowned stylist and colourist, Fabian Lliguin is an avid humanitarian and supporter of the preservation of Amazonian tribes and continues to return to the rainforest several times a year to purchase Rahua, Ungurahua and other native oils directly from the women of the Quechua-Shuar, Achuar and Waorani tribes, as well as to educate these indigenous people on successful trade practices, intellectual property rights an other human rights issues. Rahua empowers women all over the world by giving them beautiful, healthy hair and it provides a means by which the native women of the Amazon can support themselves, thus empowering them too. The Rahua range will go on sale in Plathora Hair lab in September and Harvey Nichols in October 2014, with other outlets to follow. Visit www.rahua.com to discover more. For centuries, women from the Quechua-Shuar tribes have traveled deep into the Amazon rainforest to prepare a highly potent, restorative oil they call Rahua (ra-wa) – believing it to be the secret to their thick, flowing, lustrous hair. In the 1990s, these women shared Rahua’s power with renowned New York stylist and colorist Fabian Lliguin, a native Ecuadorian of Quechua descent. Intrigued, Lliguin studied Rahua’s revitalizing effects on his own clients’ hair. Dry, damaged strands sprang to life with renewed, bouncy elasticity. Color treatments remained shiny and vibrantly true while irritated scalps calmed under Rahua’s soothing care. It was an instant success among his clients including a host of A-list celebrities. Today, Amazon Beauty features Rahua as the star ingredient in the Rahua Hair Care Collection and the company continues to build their earh-friendly, sustainable business in partnership with women from Amazonian nations such as Waorani, Achuar, Quichua, Quechua and Shuar. For more information visit www.rahua.com, https://www.facebook.com/rahuamiddleeast or www.pinterest.com/beautifulbrands. Beautiful Brands LLC was formed in 2013, following in the footprints of its big sister Beauty Solutions. A global and regional distributor of fashionable, innovative, unique, revolutionary, stylish and naturally inspired beauty brands, Beautiful Brands was created to provide a much-needed solution to maximise brands’ full potential in the region. Beautiful Brands currently distributes The Konjac Sponge Company and ‘Rahua’ in The Middle East. For more information visit www.facebook.com/beautifulbrandsllc. ← My day time skincare routine! where can i get the shampoo here in UAE, dubai?? ?